Do you have an old dog bed you need to replace with a new comfy one? Are you confused by too many options out there? Check our list of amazing dog products to make your shopping easier and more fun. We’ve gathered some of the most popular products designed to boost your dog’s comfort and get that tail wagging with joy without breaking your wallet. The items we’ve selected will make a great addition to your pet’s comfort corner as well as a great gift for your friend. You want the best for your dog and so does FurHaven, hence this Deluxe Ultra Plush Sofa-Style Orthopedic Pet Bed. If it’s time to treat your furry friend to something luxurious and comfy, this couch is worth considering. Perfect for dogs of all ages, this bed was designed to improve your pet’s comfort and health. Coziness is ensured by the soft, plush faux fur sleeping surface and the suede bolsters surrounding three sides of the bed. The deep foam used will improve your dog’s rest by soothing pressure points and supporting joints. Its design also makes it easy for your dog to get on/off it. This bed model from Gale Pacific was designed with your dog’s comfort in mind, especially when the summer days get here. The bed will keep your dog cool thanks to its off-the-ground design that allows the air to flow on all sides of the bed. Plus, it elevates your pet as it is 7 inches high. The bed is designed to improve your four-legged friend’s comfort by reducing pressure on shoulders, hips, elbows, and knees. The bed is made from 100% recyclable lead- and phthalate-free fabric that is ideal for eliminating hot spots. It is both lightweight and durable. Be sure you will take your dog’s comfort to the next level when using this padded bed from AmazonBasics. Featuring a rectangular shape, the soft bed is perfect for dogs and pets up to 36-inches long. The product uses a fluffy soft fleece cover that will pamper your pet’s senses and keep your furry friend comfortable year-round. The bed features a 100% polypropylene foam base and 100% polyester fill cushion and bolster that will provide extra support and thus soothe stiff joints. Since it is lightweight and ultra-portable, the bed makes a great comfort-provider when traveling. Your dog will love this bed because he/she runs on cuddles and that’s what this bed will provide your furry friend with. This luxury faux fur donut cuddler will pamper your dog’s senses while significantly boosting his/her comfort when resting. A more restful sleep further means better health and improved behavior. The cuddler features a raised rim that ensures head and neck support and a soft filling that will soothe stiff joints offering muscle pain relief at the same time. The materials used are durable, practical, and machine-washable and the bed is finished with water and dirt-resistant bottoms. Help your dog bask in comfort with this deep dish cuddler from Best Friends By Sheri and you will help your four-legged friend rest and feel better. The high walls are designed to soothe stiff joints while keeping your dog secure and safe. Extra weight support is provided by the higher back wall whereas headrest is ensured by the lower side walls. The fabrics used are tough as well as water and dirt-resistant. Moreover, the cuddler is machine-washable and features durable oxford fabric and virgin AirLOFT fiber filling. 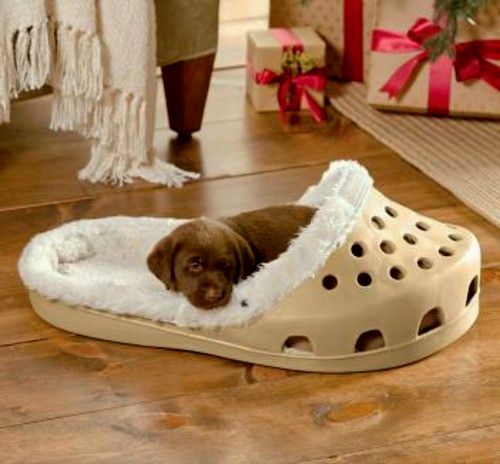 Its design will allow your pet to sleep in any position. When you say MidWest Home, you say the ultimate in comfort. Treat your furry friend to countless sessions of luxury if getting this Ombré Swirl Pet Bed and you will boost his/her comfort and sleep. That will further translate into enhanced health and improved behavior. Your pet’s senses will be pampered thanks to the tufted, plush polyfiber cushion and the paw-pleasing unique swirl pattern. The materials used are machine-washable as long as the water used is cold. Plus, the non-skid bottom surface will make sure the bed doesn’t move and that makes it work great on tile floors and hardwood. If you want to get a comfy bed that doesn’t take too much space instead of getting a new dog mat, you might want to consider this oval cuddler from Aspen Pet. Designed to surround your pet with comfort and softness, this bed is perfect for small dogs. The raised bolstered sides encourage headrest and make the bed easy to get on/off. Comfort is further ensured by the high-loft, recycled polyester fiber fill. The fabrics used are machine-washable and solid enough for long-term use. The bone detail will let everybody know whose corner that is. Whether you’re looking for a stand-alone bed or a mattress for your dog’s crate bed, this model from MidWest will make sure you get them both in just one product. This deluxe bolster bed fits 24-inch crates while it can be used alone as well. The synthetic fur and padded polyester bolster cushion will pamper your pet’s senses with softness while boosting his/her comfort when resting. The materials used are 100% machine washable and dryer-friendly and the measures (24L x 18W x 2.25H Inches) make it perfect for pets weighing 11-25 pounds. Want a bed to provide your dog with the same softness as that comfy dog sweater? You might want to try this Sherpa Bagel Dog Bed By Majestic Pet. The ultimate in comfort, quality fabrics, and a cool design are the things you get; plus, the many health benefits a sound sleep will provide your pet with. The bolster encourages headrest and helps the pet strengthen the spine. The base of the bed is made of waterproof 300/600 Denier, which will help prevent unwanted accidents. The bed is fully machine-washable as long as the water used is warm and the tumble dry option is set to low. Time for the next level of comfort? Then you should take a look at the Deluxe Orthopedic Chaise Dog Couch from FurHaven Pet. Created with your dog’s comfort and wellbeing in mind, this bed offers optimum head and neck support due to its high-loft polyester fiber filled bolster. This will help your dog align the neck and spine. It also soothes stiff joints and supports pressure points thanks to the convoluted foam base. This further means that your pet’s circulation and sleep will be improved. The faux fleece covers will pamper your dog with softness. They are also removable and machine-washable. If you’ve just recently decided to purchase a bed for your dog, there are plenty of products out there. As people grew fonder of their pets, the industry surrounding them has started to grow. In your quest for the best dog beds, there will be many products for sale that you will find appealing. However, before making a decision, you should read not only dog beds reviews but also research materials about the best beds for dogs and the qualities that recommend them. Every dog owner’s dream is to make their animal feel safe and comfortable, and there are a number of criteria that have to be taken into account when searching for a good dog bed, ranging from whether the placement of this product will be indoors or outdoors, to the bed’s softness and dimension. For all people saying dimension doesn’t count, it can be very frustrating for a dog to try to fit in a very small bed, especially if it’s an adolescent who used to be significantly smaller. The bigger the bed, the more the possibilities. 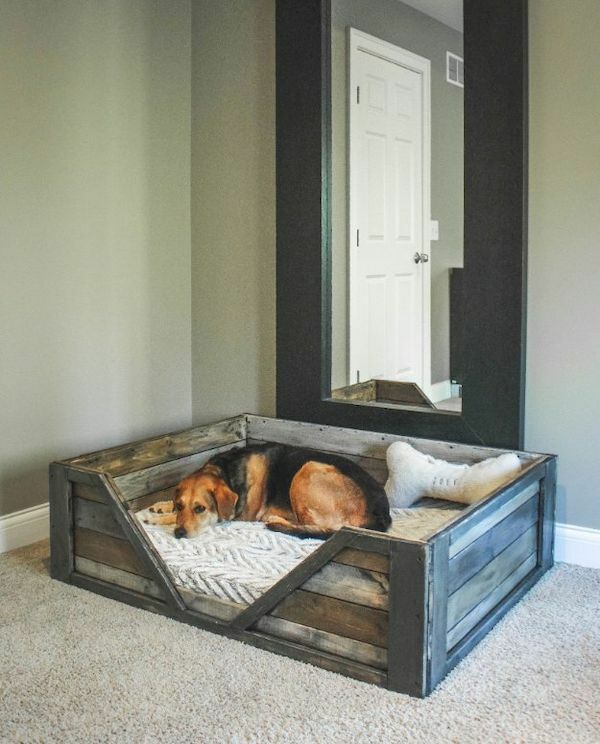 At the same time, an overly large bed can also be confusing for the animal, who may think of it as just another place to sit, and not the go-to comfortable dog heaven. There are plenty of places to start documenting. Because time is short on everybody and we know you’d rather be spending it doing fun activities with your pet, we’ve decided to put together a short buying guide. Below are the most crucial factors you should take into consideration before making a purchase. No choice is easy when you’re looking for the product that best fits your dog. Depending on whether you live in a warm or cold area, you may want to consider the season and overall temperatures when choosing a bed for your dog. During the winter, your dog should sleep on softer fabrics, because – even if it’s warm inside – the biological system of your animal will know that there is a cold season, and will be looking for something to give it the illusion of warmth. Generally, it is best to refrain from using synthetic materials, as they can lead to overheating. A bed similar to a cushion is best during this time of year, as it allows your animal to feel the comfort of staying in a warm environment, while at the same time allowing it not to overheat. Additionally, for the cleanliness of your home, you may want to consider a water resistant bed, because it is significantly easier to clean, and it will prevent you from going through the ordeal of having to go to a dry cleaning service whenever the bed gets dirty. If your dog is allowed to go outside, the odds are that the bed will get dirty even more easily. If you live in a geographic area where the weather is warm for most of the year, you’ll be looking for something equally comfortable for your animal, but with thinner layers, to prevent your pet from overheating because of the thickness of its sleeping place. Aside from temperatures, there are also other factors to look at when deciding the perfect softness of the bed. For instance, the age of your pet is highly relevant at this point. It is established that older dogs need to sleep on softer surfaces, because of their bones being more fragile. Depending on the breed, some dogs even develop circulatory problems as they get older, and a softer bed can help prevent or at least slow down this process. Puppies also need to sleep on softer fabrics compared to the average. Because their separation from the mother wasn’t easy, allowing them to have a place of their own that is soft and warm allows them to feel protected and safe, which is truly important, especially if your pet is undergoing training sessions. At the same time, adult dogs do not have any particular recommendation in this respect, so other criteria such as seasons and the indoor or outdoor use may be of higher importance. Assuming you own an adult dog, your decision will be significantly easier. All you have to do is measure your dog, and then add 7 inches in length and width to find out the perfect bed size. Keep in mind that a product that is too small for your animal may make it feel constantly uncomfortable, and in some cases, it can lead to health issues. Consequently, a bed that is too large for your pet will never feel appropriate for its needs, and the animal may simply refuse to sleep there because it is not comfortable enough and it doesn’t seem like a special place for its needs. If you own a puppy, the issues of dimension are more serious. You will have to consider buying a few different beds, each for a different growth period. For instance, if your dog is two months, you may want to buy a bed for its childhood, and another one for its adolescence and adulthood. Getting a huge bed from the start may not be a problem at first, given that younger animals find it easier to conform to rules. But as the dog will grow, the same bed that used to be so comfortable when it was a puppy may seem to feel crowded by comparison. Another relevant criterion is whether your dog sleeps indoors or outdoors. For dogs sleeping indoors, the criteria above are enough guideline to help you make an informed decision. Keep in mind that a dog bed is an excellent tool for you, as well, as it keeps the hair focused in a single spot, making it easier to clean. If you plan on letting your animal sleep outside, you may consider buying a product that is necessarily waterproof, so that roaming around when it rains will not wet the bed. Because the bed will work as a layer of insulation from the cold (or hot) ground, you may want to research fabrics and materials that are good insulators.